Nigerian model and Tinsel Actor Charles Billion and upcoming Nollywood actress Mimi Ifunanya Orjiekwe are set to wed soon. The lovers who dated for 12 months got engaged in Zanzibar city in Tanzania two weeks ago. The romantic proposal was a shock to Mimi who taught she is going on a usual vacation with her boo. Charles Billion made Mimi’s 27th birthday a special one when he popped the question of a lifetime to her on the 18 of July. ‘Mimi Will you marry me? – Charles asked. She accepted the proposal and the party started. 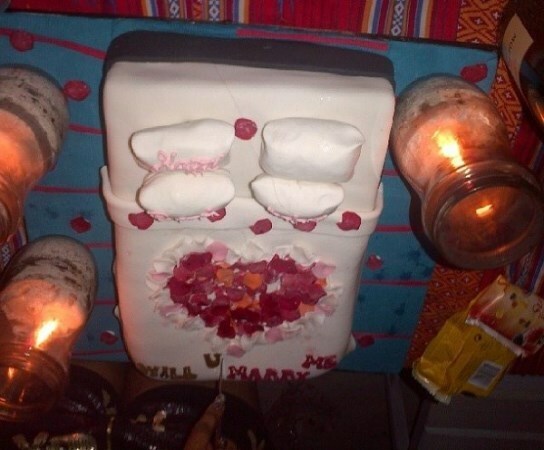 This was made known by Nollywood actress Moyo Lawal who witnessed the proposal. Insiders say the couple plans to marry next year. The couple with Seun Oloketuyi of Best of Nollywood award. Effects of breaching cream! The fingers are turning white while stretch mark has scattered the entire body. Charles u try o.